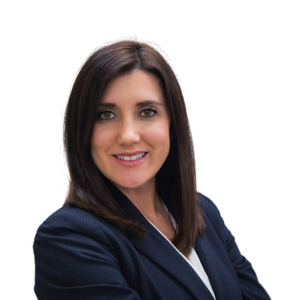 Ashlea White is a family court and criminal defense attorney who began practicing law in Mississippi in 2011, but has practiced law at our firm in South Carolina since 2013. Ashlea assists clients in all types of family court matters, including divorces, adoptions, custody disputes, and various other family court proceedings. Additionally, Ashlea is an aggressive advocate for clients accused of crimes, including all types of misdemeanors and felonies. In her spare time, Ashlea enjoys being a member of Junior League of Anderson, spending time with her husband and children, and enjoying the outdoors. She is a proud graduate of Mississippi State University, but has adopted Clemson University as her second team. Ashlea is also a member of Central Presbyterian Church in Anderson, SC. Ashlea is licensed to practice law in South Carolina and Mississippi. Practicing in two different states has given her a unique perspective on the law, and has given her the ability to adapt to changes in the law and the dynamic nature of cases. Ashlea can be contacted by telephone at (864) 231-8090 or by email at ashlea@wdwlawfirm.com. CyberDGM © 2019. All rights reserved.